This locally-made flogger features turquoise suede falls and a black/turquoise dymondwood handle. The end of the handle also features a metallic decorative emblem. Total length is 28.5", handle length is 9.5". 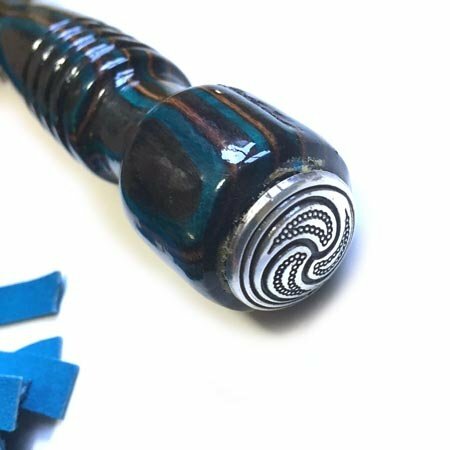 This flogger features turquoise suede falls and a black/turquoise dymondwood handle. The end of the handle also features a metallic decorative emblem. Total length is 28.5", handle length is 9.5".